Michael Noble advises clients in their endeavors related to commercial real estate matters, commercial lending transactions and general business transactions. The majority of his practice is focused upon the representation of the firm’s clients in the acquisition, leasing, management and sale of real estate projects among all classes of real estate (office, multi-family, retail, medical, residential and hospitality developments). Michael also represents borrowers, commercial lenders and other financial institutions in all types of real estate and asset based financings including construction loans, portfolio , refinancings and loan assumptions. 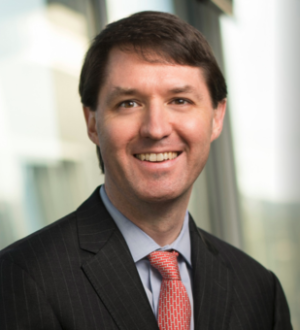 Michael also regularly advises developers, retailers, restaurants and hotel operators on matters involving federal, state and local alcoholic beverage laws and has extensive experience in connection with licensure and permitting issues before the Tennessee Alcoholic Beverage Commission and local beer boards. Michael is a member of the Nashville, Tennessee and American Bar Associations (Section of Real Property, Probate and Trust Law; Section of Business Law; Section of International Law; Affordable Housing and Community Development Forum). He also belongs to the National Association of Industrial & Office Properties (NAIOP) and the Tennessee Economic Development Council (TEDC).